Stop you with my glare! A beat up man is picked from the woods by Serizawa and brought to Kyoto. His name is Ryunosuke Ibuki. 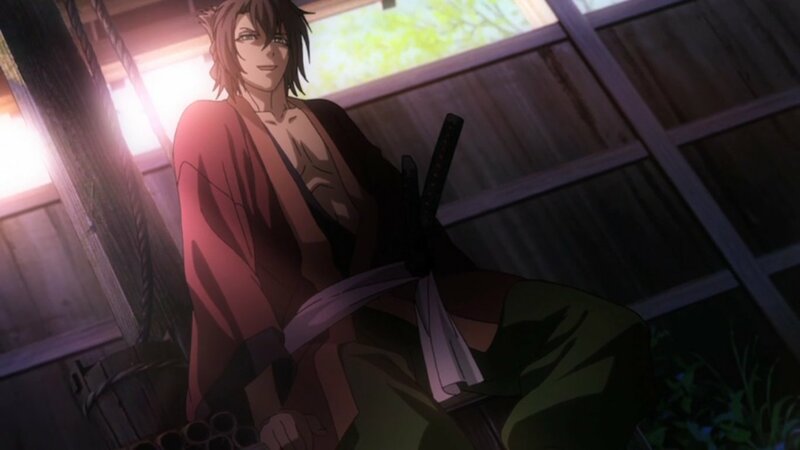 Heisuke looks after him. Sanosuke and Shinpatsu meet him as he tries to make his way out after recovering and they force him to thank the one who brought him here. 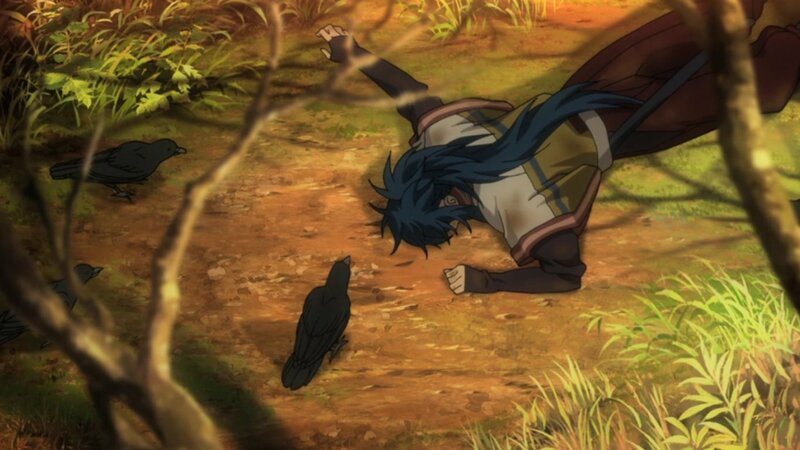 Okita and Sannan appear as Ibuki is pushed away by Okita after trying to wash his face. Those two introduce him to Kondou who he also should thank. 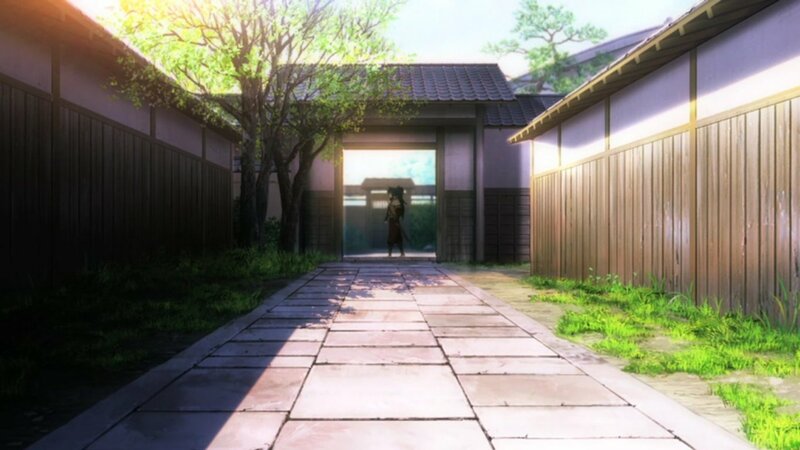 In the evening, they hear Serizawa outside and see that there’s an argument between him and Hijikata. 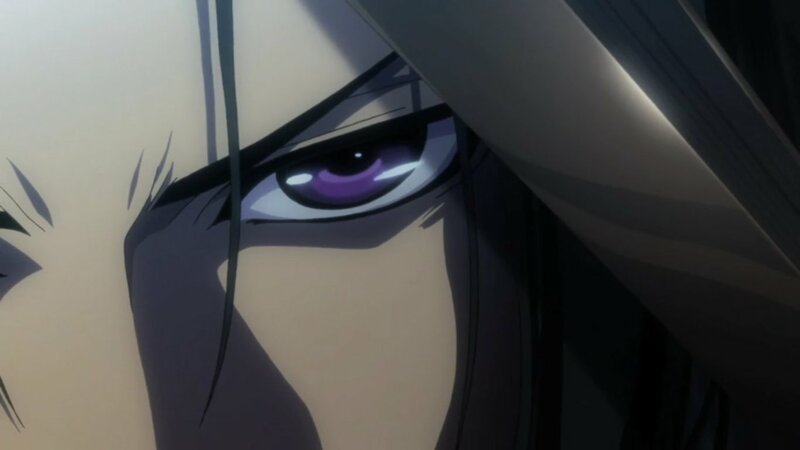 Hijikata accuses a drunk Serizawa of slacking off, a fight doesn’t occur and he moves on. 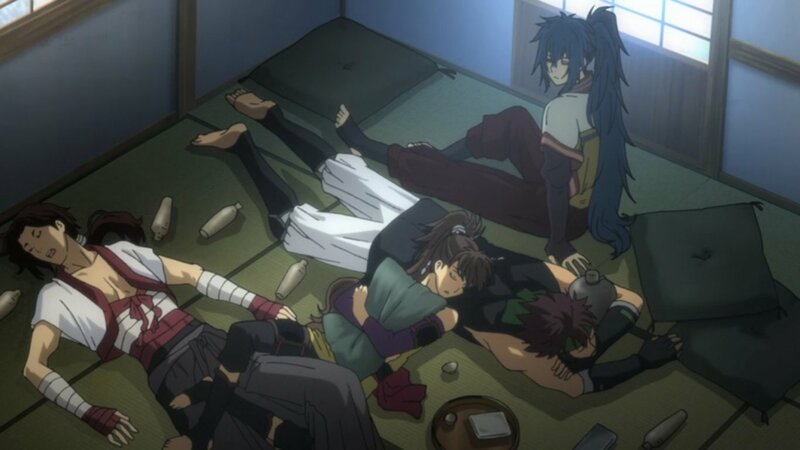 Ibuki stays another night as Serizawa’s too drunk. Ibuki tries to thank Serizawa the next morning and leave but is forced to stay as his ‘dog’ until his debt is repaid. Kondou asks Serizawa for help whilst they’re in Kyoto. As the episode ends Ibuki is forced to buy Sake for Serizawa as he heads out for the day. Ah, so a new storyline with a new main character, by the looks of it. Which means we’re likely to be following this Ibuki guy around. 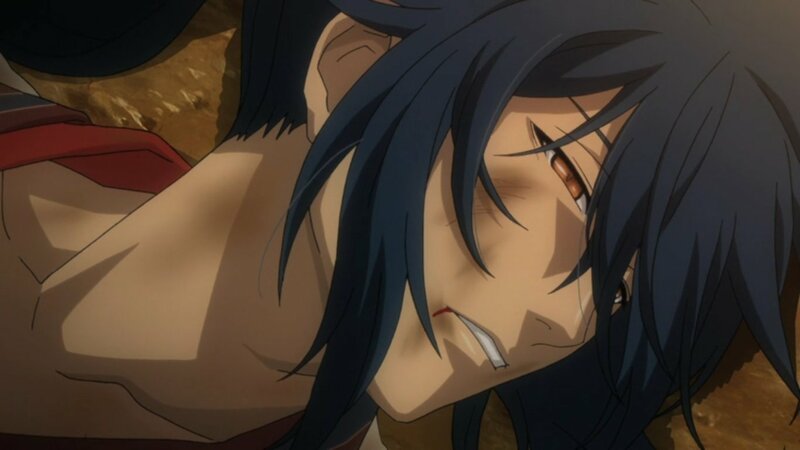 That suits me, I wanted another full, interesting story involving the Shinsengumi people after all. Only thing is, I have no idea where this is going. I don’t mind that, when I look around I find more interesting blurbs rather than synopses. Those who know what goes on in this story, tell me nothing. I’ll see for myself what this prequel will tell us and I hope it’ll have some interesting facts that tie with the original series, a good series will always make some interesting connections. As always, nice seeing familiar faces again, introduced in a way that would make this watchable as a standalone series. But of course it would be best to watch the others first to understand the characters better. Well either way, it’s going to be a standalone story focused on Ibuki by the looks of it. A pretty predictable uneventful introductory episode. I would like to see how this story pans out. But for now, there isn’t much to say.